Year of Travel: Campervan, Caravan or Tent? A few months ago my husband and I decided that once his current job contract ends in February 2016, we’re going to pack up and travel for a year. There are many reasons why we want to do this, but one of the big ones is so that we can simplify our life and help our kids learn to appreciate the moments of life (not just the traditional comforts and all the “stuff” that is so revered by society these days). It’s a bit scary – our kids will be 1, 4, and 7 when we leave – but it’s also exciting! In my new series A Year of Family Travel I’m going to share some of the preparations for our trip… from what we’re going to take, what we’re going to drive, how we’re going to store our stuff, preparing to homeschool and so forth! One of our first considerations, of course, is where we are going to live when we are traveling! 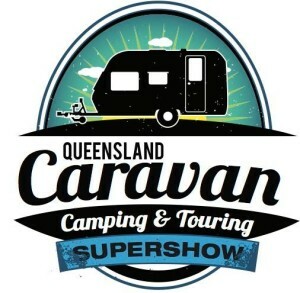 Luckily last month we were able to spend a day at the Queensland Caravan, Camping & Touring Supershow organised by Caravanning Queensland (here is their website and you can also follow them on Facebook). 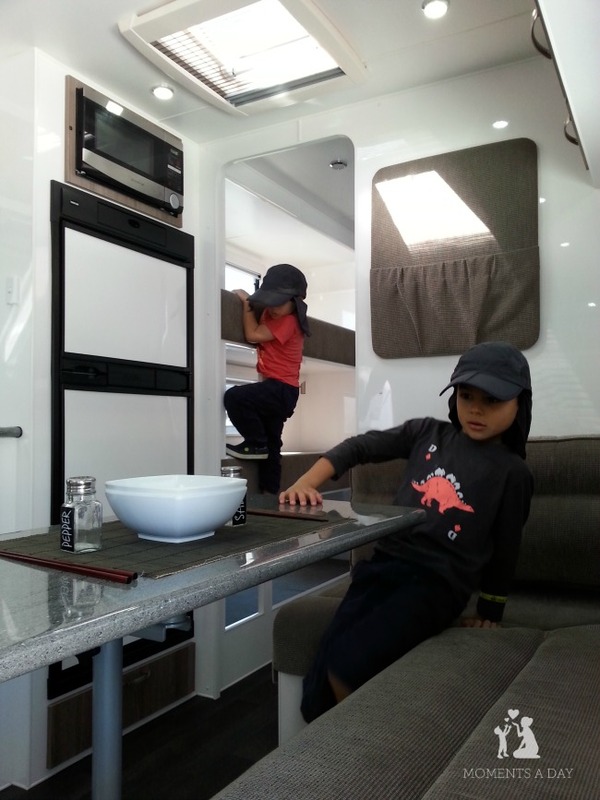 This was the perfect opportunity for us to explore the different options – walk inside the campervans, check out the different layouts of caravans, see the camper trailers up close and really think about what we want and need. We made a shortlist of favourite features and brands that we liked, too. A campervan (or camper van) is a self-propelled vehicle used for transport and sleeping accommodation. 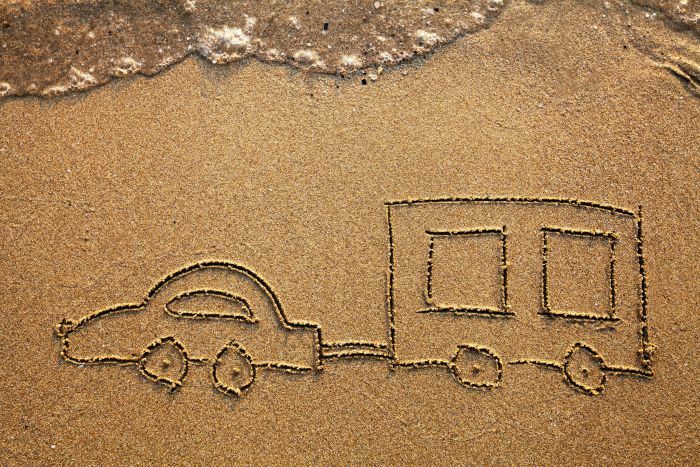 A caravan is a vehicle equipped for living in that is typically towed by a car. For even more vehicle types plus photos (pop top caravans, slide on campers and more! ), check out this page. 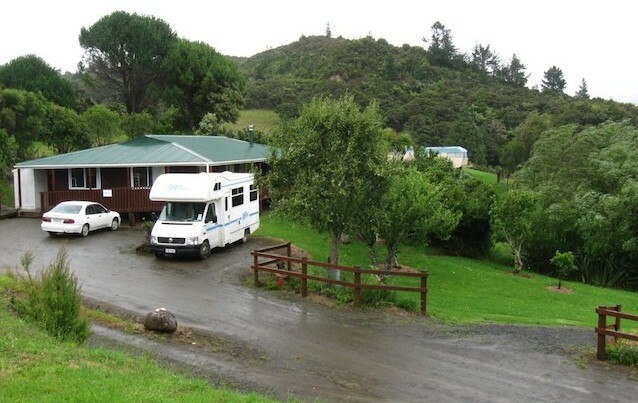 A few years ago, when our two boys were almost 1 and 3 years old, we hired a campervan to travel around New Zealand. This was nice because it was all inclusive (car + place to sleep) but one downside was not having smaller vehicle to drive when we were in a city or staying in a destination for a while because it was hard to find a place to park! We are hoping that my husband’s short-term jobs throughout the year will actually provide accommodation, so we only need something to live in when traveling between jobs. Therefore a campervan probably isn’t in our future (obviously it’s verrrrry pricey too). I would have considered a second-hand one but would be very cautious… when we were in NZ, we paid a hefty rental price for two weeks and sadly the roof leaked when it rained. I couldn’t imagine putting in so much money and then having to make repairs eek! We were amazed by all the different sizes and varieties of caravans at the Supershow… truly, you can find any combination of features you want – even including a washing machine, multiple TVs or three bunks (I had no idea any of these were even possible before). One of the major downsides of getting a caravan we learned however is that we would unfortunately need a bigger car to pull it… which would be another major investment that we realistically probably cant afford. We still haven’t totally decided if we might look more seriously into getting a caravan but one tip I would suggest to anyone considering it is checking out a lot of models and taking pictures so you can remember what you liked! I took pictures of the outside with the model info showing, then the inside, so we knew which photos belonged together. This helped when reviewing and shortlisting later on. And then there’s the frugal option: getting a basic trailer for our car and packing camping equipment. What would you choose – campervan, caravan or tent? Do you have any advice? To follow along with our travel preparations, sign up for my newsletter, join me on Facebook and you can also bookmark the series here. This is so exciting! Can’t wait to see more of your travels. I would think a camper van would be ideal because it’s so easy to set up. In saying that, my husband and I have got our tent set up down to 40 minutes! Wow! That is seriously exciting Chelsea!! I can’t wait to follow this! It’s something we’d like to do as well! My brother is currenty driving from Sydney to Perth via Uluru (to give you a vague idea of their long journey!) over 3 months… they’ve taken a camper trailer – we used to own a camper trailer and they’re a great in between from a tent/caravan. In price and convenience!… We loved that we could pack all our camping gear in well organised plastic tubs that lived under the trailer part… then we kept our queen bed made up… and just had to hook it up – tow it where we wanted and set up camp – we were pretty quick, although always needed something to distract kids!! Then set up kids/kitchen and we were done!! There are a few Australian brands which are great. We loved ours and it’s definitely a step down in price point from a caravan… usually…! I was also just going to suggest a camper trailer! We bought ours second-hand off Gumtree. Definitely worth looking into. Enjoy!